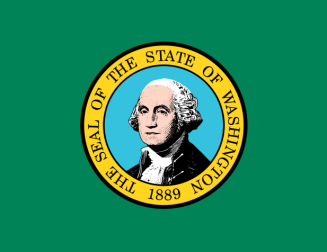 Washington was admitted as a state in 1889 and legislated the recording of Washington vital records in 1891. Records prior to 1907 were kept in birth and death registers by county auditors, maintained at the county level. Many have been microfilmed and are housed at the Washington State Archives. The Department of Health, Center for Health Statistics, has maintained Washington birth records and Washington death records since July 1907; these records are public records and copies can be ordered by anyone in person, by mail, by phone, or online through VitalCheck. The Family History Library in Utah has microfilmed birth records (1907-1948), birth indexes (1907-1954), death certificates (1907-1960), and death indexes (1907-1979). The South King County Genealogical Society has an online birth register for King County for 1891-1907, as well as cemetery and obituary records. Note: Birth certificates from 1921 to present from ANY COUNTY are also available at most every County Health Department. Same fees. See www.doh.wa.gov/EHSPHL/CHS/issuing_co.htm for addresses and details Most offer counter service. Record Access Requirements: The data on the lower portion of form is confidential. Search Note: Please specify if father is not listed on birth certificate. Record Access Requirements: A written request is required, there is no public viewing. Note: There are 5 regions of local government within this agency. The Digital archives, launched in 2004, contains various periods for marriages, death, birth, military, naturalization, institution, and various historical records.